Gary E. Frazier has been providing legal services within the state of Florida for over 39 years. His legal background includes civil trial work as a defense attorney representing one of the largest insurance carriers in the country. He also has extensive experience in representing plaintiffs and injured workers. Mr. Frazier is also a former Florida Administrative Law Judge (JCC) and enjoyed a reputation for fairness and courtesy toward litigants and their counsel while on the bench. Gary has been mediating since 1993 and is certified by the Florida Supreme Court as a Circuit Civil Mediator. He is a Certified Federal Mediator for the Federal Middle District of Florida. He has also served as an arbitrator in a number of commercial disputes. He has been given the highest rating assigned by Martindale-Hubbell. Gary has been a guest lecturer at Stetson College of Law for ADR on a number of different occasions. Since 2002 his practice has been devoted primarily to Alternative Dispute Resolution. 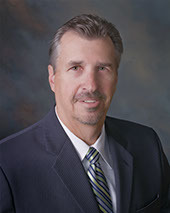 Gary is Board Certified in Workers' Compensation and is a member of the Workers' Compensation Section of the Florida Bar. He is a past chair of the Florida Bar Workers' Compensation Board Certification Committee. Gary is also a certified Medicare Set-Aside Consultant (MSCC). Before you decide, ask us to send you free written information about my qualifications and experience.